Time-lapse and HD Jobsite Cameras are powerful tools for documenting a build, and recording project progression. Manage your progress and capture the story of your project from beginning to end with a high definition project time-lapse video. Construction cameras give you access to live views of your construction activity and document your project progress. All of our jobsite cameras are available for purchase or lease. 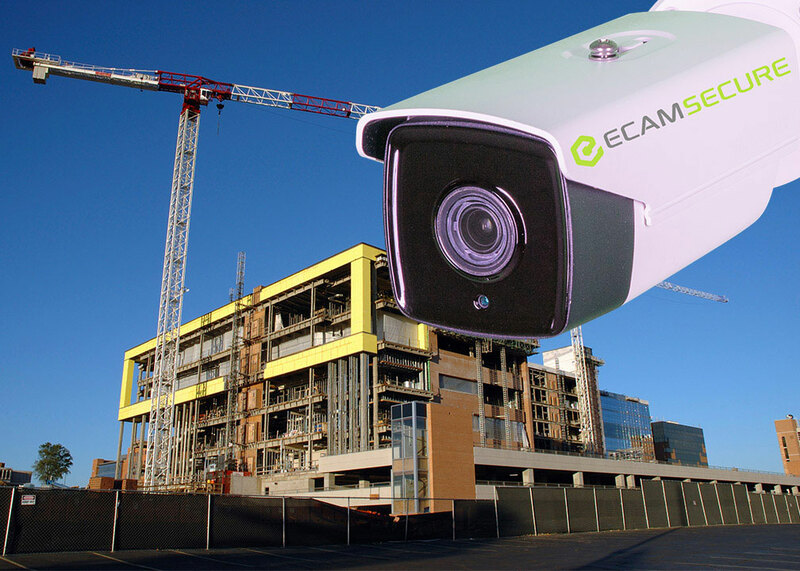 ECAMSECURE’s 24 Megapixel camera option gives you better coverage of your jobsite, allowing you to zoom in digitally in on key areas, capture and save high-definition images. The Nikon DSLR camera makes it possible to zoom in even after the image was taken. 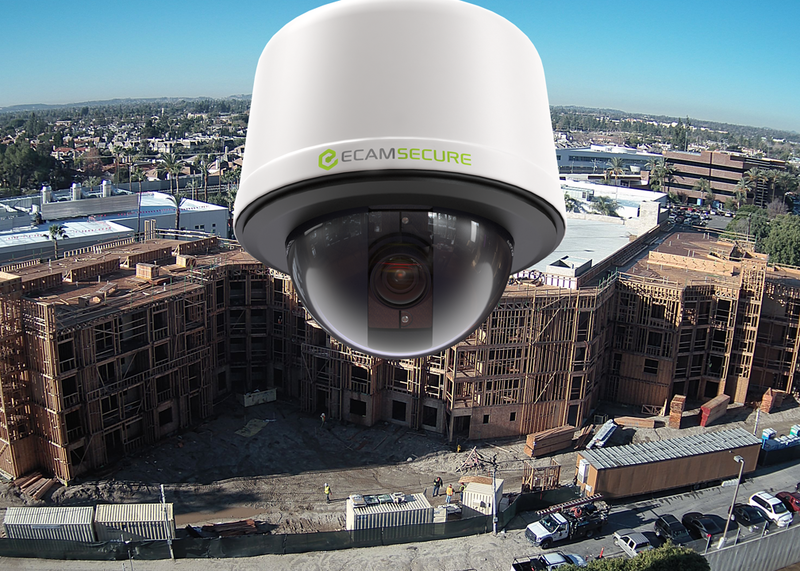 Our 24-megapixel jobsite security cameras are perfect for time-lapse project management and security applications. Our cost effective 12-megapixel high definition time lapse camera option gives you the same functionality as our 24-megapixel cameras at a lower cost with slightly less resolution. Perfect applications include HD time-lapse video, remote viewing of a job sites progress and project management. Combined with our proprietary time lapse software this camera is ideal for creating stunning HD time-lapse marketing videos showcasing your work. 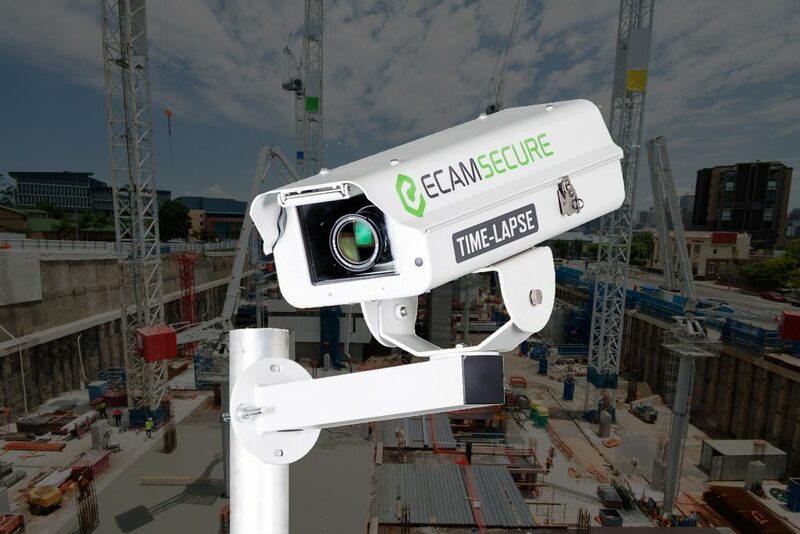 For more information about our time lapse services, contact your local ECAMSECURE branch. Add optional live streaming video and this camera can be used for security and can be monitored by our Central Station. High-resolution images document virtually every moment of construction and provide the detailed information you need to track and monitor your progress. 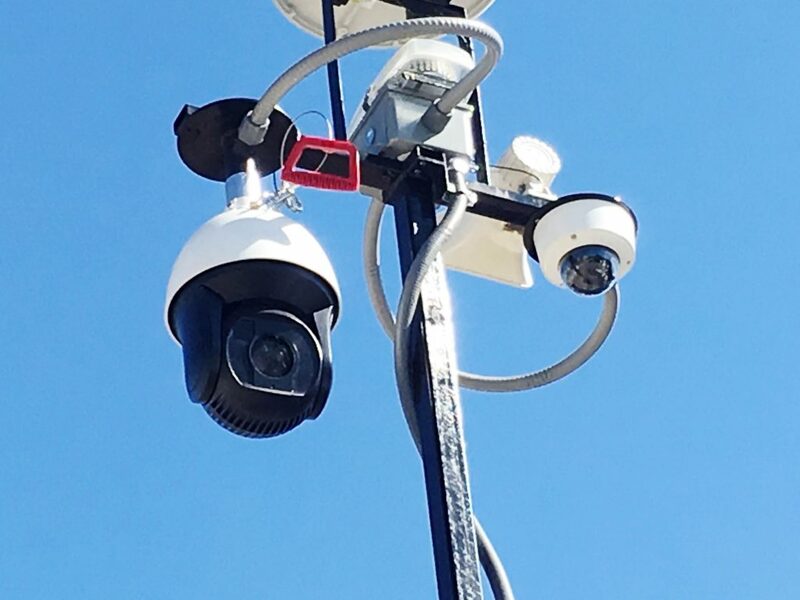 Our 8-megapixel cameras are ideal for live video streaming, creating HD time-lapse videos of your progress, project management, and security surveillance. Our 8-megapixel cameras come with built-in streaming video capabilities and create 4K quality HD video at a lower cost than our 24 and 16MP cameras. 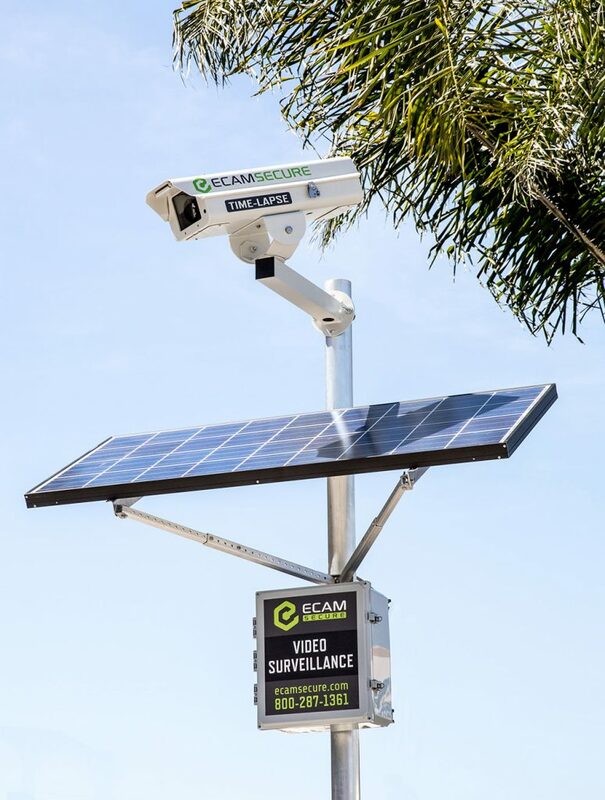 Project camera and time-lapse by day, security camera by night. With an HD PTZ camera positioned for an overview of your site during the day, you can record, document and track your progress. At night that same camera can be redirected to your trailer, equipment and lay down area to secure and protect those areas during non-working hours. A PTZ camera allows you to remotely control the pan, tilt and zoom of your camera so you can position it where needed. PTZ cameras also allow you to cover a wider range of property then a fixed camera giving you better coverage. All our Mobile Surveillance Units come standard with 2-megapixel HD cameras. 2-megapixel cameras give you the ability to stream your security video in HD quality. Crisp clean images allow you to recognize activity and identify potential threats. Our 2-megapixel HD security cameras paired with our remote monitoring gives you the ability to view your jobsite live with non-pixelated images. Our 2-megapixel cameras are perfect for creating time lapse videos of your jobsite. You’ll get crisp clean images in HD. Time lapse construction videos allow you to showcase your work and document your progress. A 2-megapixel camera combined with our time lapse software is all you need to create stunning time lapse construction videos in minutes. Focus on what matters. Keep your project on schedule and your progress recorded, even if power is not available on site yet. All of our jobsite security systems come with the option to add solar power. We understand that some jobsites are in remote areas. Remote jobsites often become a target for thieves. Going solar also has its benefits. In remote areas, the other option to power a security system would be to run a generator 24/7. Our solar options provide a cost effective solution for remote site security systems. Already have your cameras but just need a trailer? We offer a highly effective solar trailer that has the ability to power almost any camera setup. 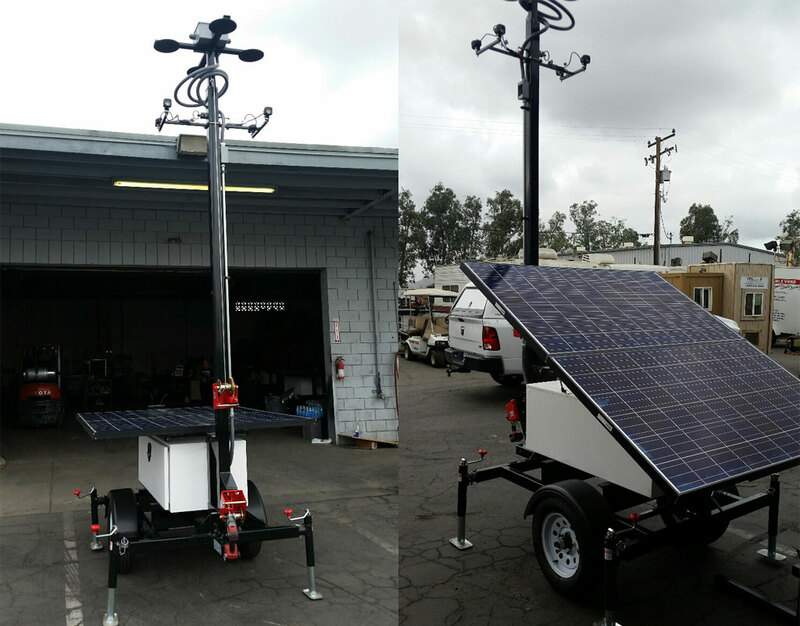 Our Solar Wireless Mobile Trailer comes complete with wireless communication via 4G cellular technology making it possible to connect to it and monitor your site from any connected device. Our Solar wireless Mobile Trailer is completely self-sufficient. With its powerful solar panels and the battery backup, it can be placed anywhere you need to secure. No cables to setup for power or communications. Perfect for remote locations or where you have to move it around to secure different areas at different times. 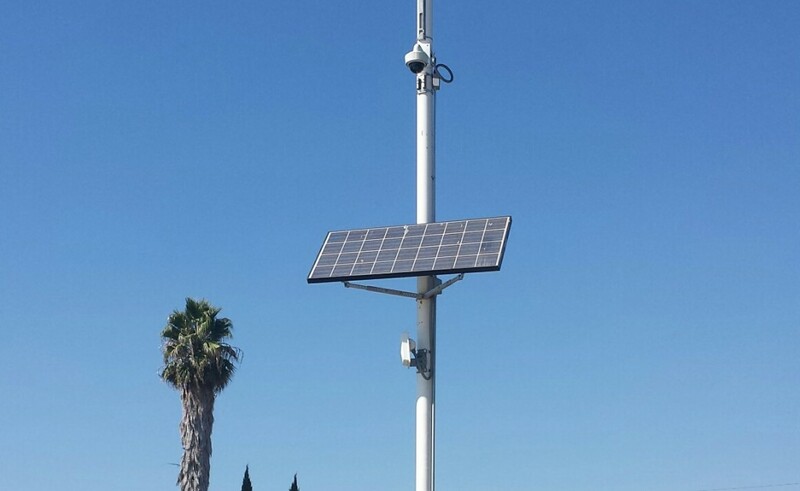 As with all our surveillance units, our solar wireless mobile trailers are available for purchase or lease.